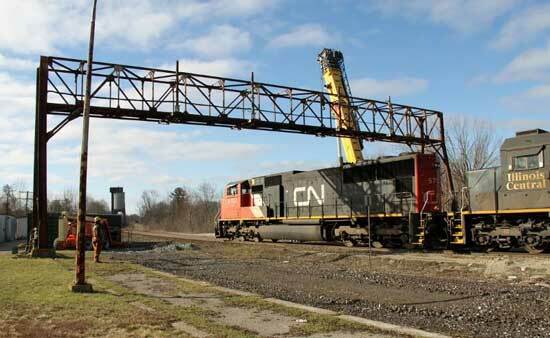 On April 5, 2012, almost 10 years after the signals that were on it were extinguished for the last time, CN finally brought down the massive signal bridge that once spanned the 4 tracks that ran under it. 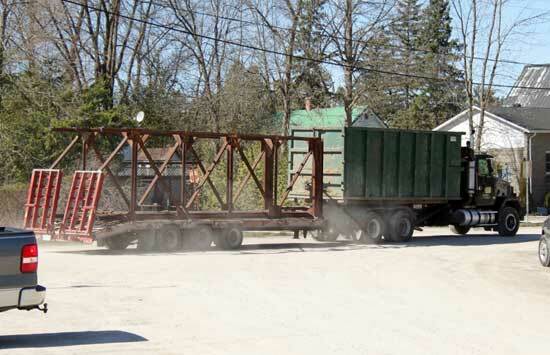 The photos are by Jason Jongen who was on hand when the signal bridge was removed. 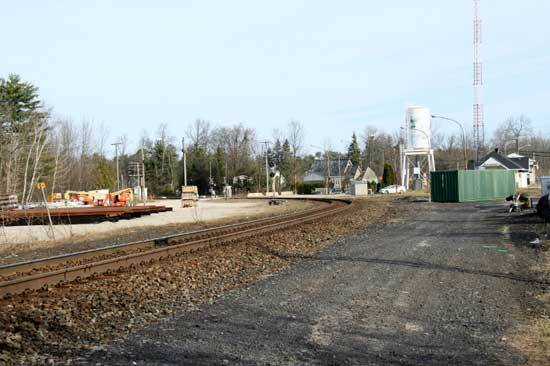 He remembers spending days there in the early 90s watching the signals up there and hoping one would turn green. 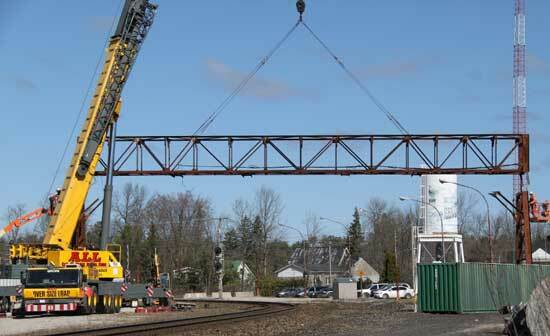 Another piece of railway history in Washago is gone. Here are some photos he took during the final days. Last northbound was Northlander 697 at 11:05. Ironic that it only has 6 months of survival left. 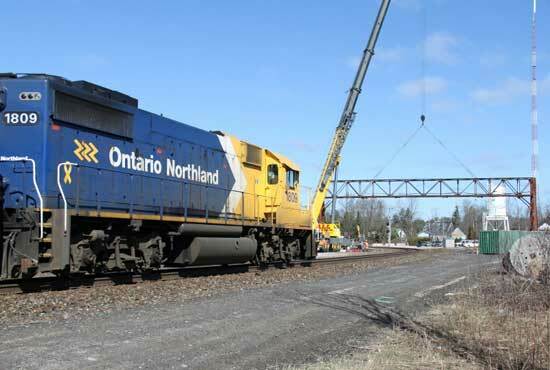 Go from "cn-signal-bridge" to the train photosoverview page. 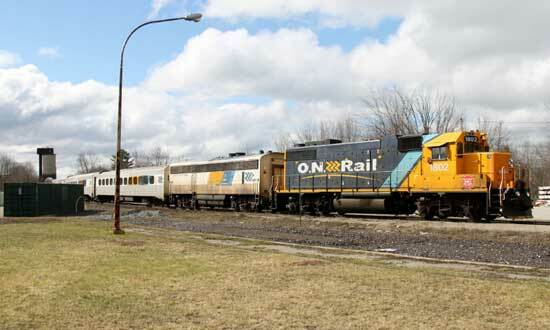 Go from "cn-signal-bridge" to Jason Jongen's Canadian train photos at Washago. Return from "cn-signal-bridge" to my Home Page.